Much debate has been made over the past years challenging our founding fathers true intentions to form a "Christian Nation". Discussion has arisen over our coinage and the phrase "In God we trust." These topics and an insight to our main American symbol Our Great Seal speaks volumes as to our nations founding Christian principles! 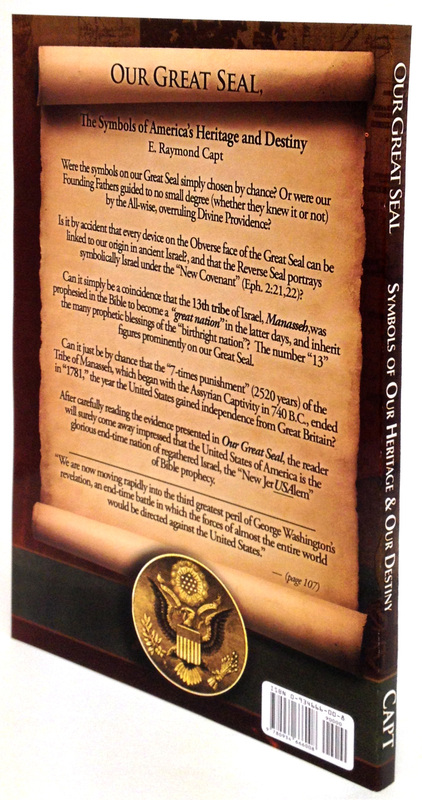 All of these topics and more are answered by Mr. Capt in a book he first wrote twenty nine years ago: Our Great Seal...a book that every Christian American should read consider and discuss - the symbols of our Heritage and our Destiny. The Great Seal of the United States of America is the symbol of our Nation's Independence. Its design constitutes our National arms. As the National arms the Seal states symbolically the principles which animated the founders of our Republic. Today these principles are being forgotten. Because they are being neglected America is fast losing sight of the two greatest forces that motivated our Founding Fathers - Christianity and Patriotism. From these two principles sprang our national constitutional laws freedom of speech and worship equality and fraternity. Without Christianity & Patriotism, America can lose her place of leadership in the family of nations - perhaps even her freedom. To avert that danger we must go back to the fundamentals of true Americanism clearly set forth in the symbolism of the Great Seal of the United States. America has a Destiny and to fully understand this Destiny one must recognize that our nation and its amoral insignia were not evolved by chance. Our Founders planned well and wisely and were undoubtedly influenced to no small degree (whether they knew it or not) by the All-wise overruling Divine Providence. "From Thomson's 'Remarks and Explanation' it is clear that every device on the Great Seal (obverse and reverse) is symbolic in that it represents another thing. Heraldry itself is a language of symbolism. 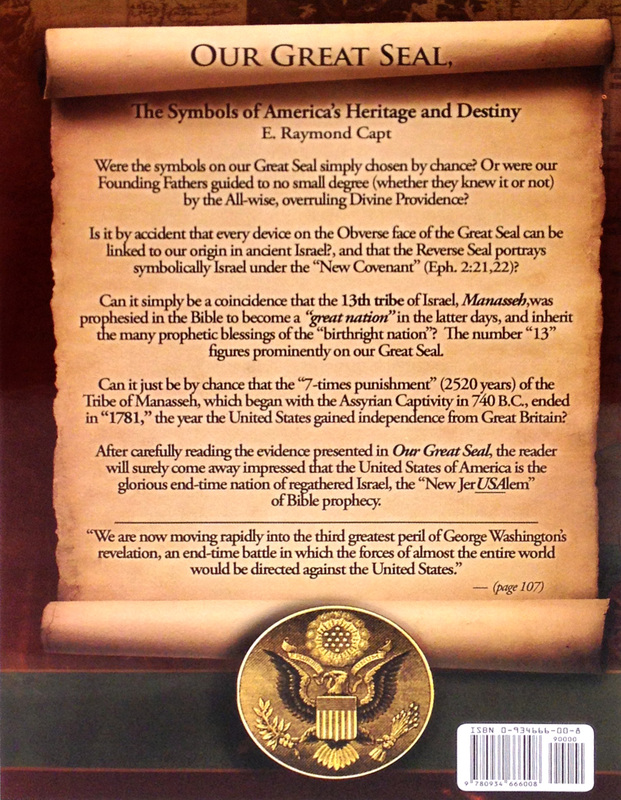 Government publications explain the official intent of the symbolical meanings of the various devices of the Seal however students of Biblical symbolism suggest that there are other mystical and esoteric meanings hidden in the design of our National Arms. . . . there is cause to believe that there is a deeply religious and supremely spiritual truth incorporated in the Great Seal. This will become more and more obvious as we proceed to elucidate the symbolism of each device of the Seal." Much detail is devoted to each one of the devices incorporated in the Great Seal and the spiritual significance attached to them. 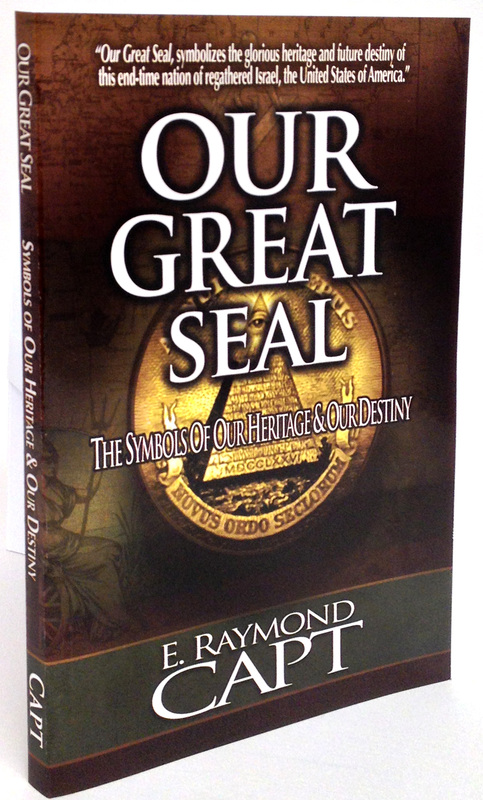 The book also includes a glossary of heraldic terms used in the description of the Great Seal that is most helpful in understanding the many devices that make up the Seal. A special chapter is devoted to the United States in Bible Prophecy where Mr. Capt quotes from chapters 18 42 43 and 49 of the book of Isaiah prophetic passages which he believes can most definitely be attributed to the USA. Another chapter deals with America's Destiny in which he again goes to the Scriptures to express his belief that America is indeed found in Bible prophecy. 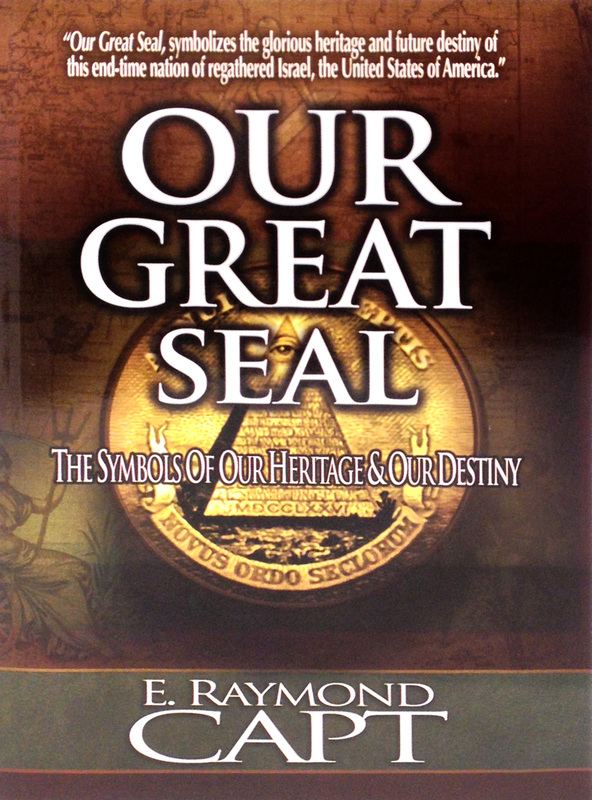 Not only an impressively informative book involving our Great Seal each device and symbolic meaning but also an inspirational account of our heritage and destiny.